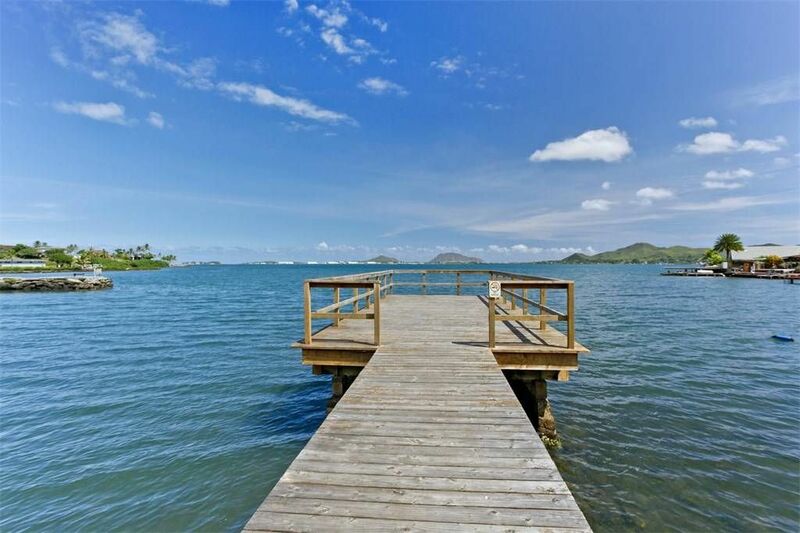 Welcome to your own piece of paradise located right on Kaneohe Bay. Kauhale Beach Cove is a little known condo of 40 units, with a dock & a boat ramp to launch your kayak or small boat. This is a charming, airy, end unit, with lots of light. The windows on three side look out to lovely tropical greenery. The kitchen and two full & one half bath all are updated. Ceramic tile flooring is on the first floor, with new plank vinyl flooring up the stairs & throughout the 2nd floor. It is in clean, sparkling, move in condition. There is also a pool and community center. There are two assigned parking spaces. Don’t wait to see this unit. It won’t last long.